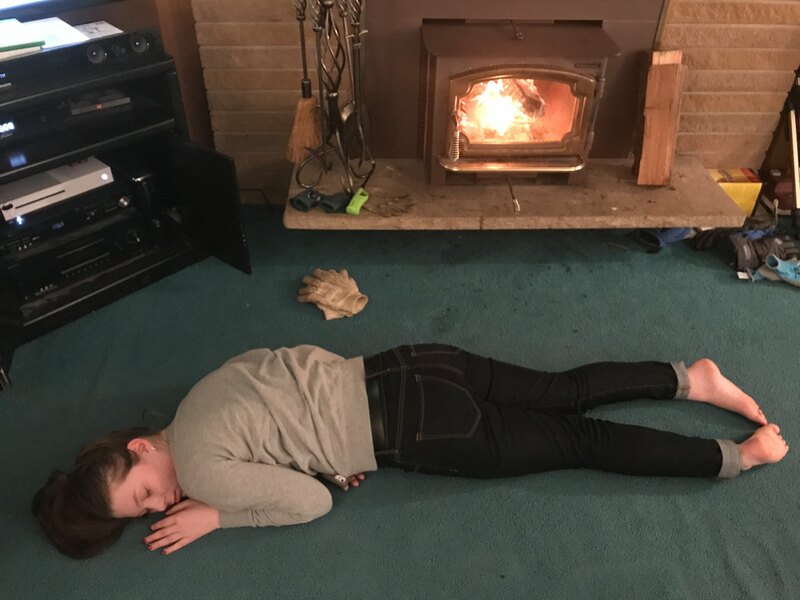 Here, we see the domesticated teenage girl sleeping by the fire. Notice the phone tucked under her stomach. Her natural prey, the 5 year old brother, will be stealthily approaching any second now to swipe it and start watching YouTube. This entry was posted on Friday, February 8th, 2019 at 7:37 pm	and is filed under Children, Life in the Pacific Northwest.